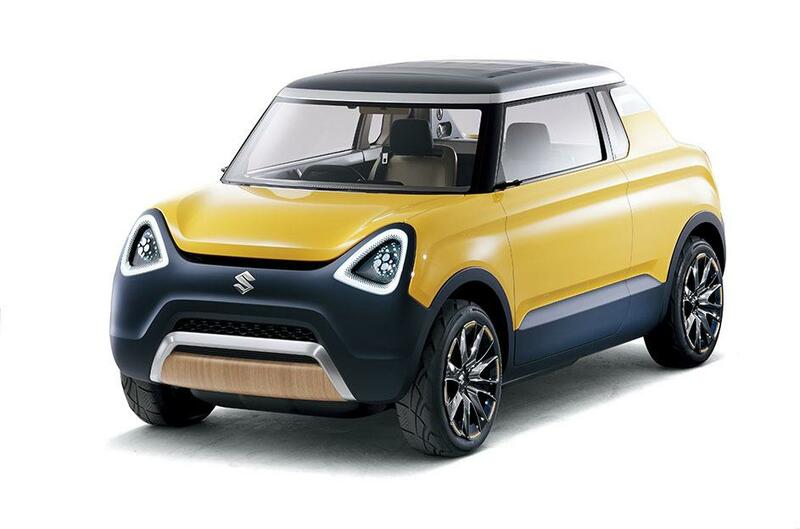 This might be a preview for a Suzuki Mighty Boy rebirth. The thing is that it will have the identical body design. The car is advertised as a "fun-oriented mini-car". The model under consideration has got a canvas roof. Besides, it benefits from an open load deck. The deck can be repositioned according to the owner’s needs thankfully to an automatic raise/lower option. The tiny concept measures only 1475 mm in width, 3395 mm in length and is 1540 mm high. The vehicle receives power from a small V3 658cc turbocharged petrol engine. It works along with an S-Energy Charge electric mill and an automatic gearbox. The car is painted in a two-tone yellow and blue colour scheme that is combined with blacked out A-pillars and a reminding of wood finish on the centre of the vehicle’s front and back bumpers. Inside the cabin you will find only several knobs and buttons. The simple layout includes a head-up display. There also is a foldable passenger seat. It might be useful when the owner wants to carry longer things, for example, a surfboard.